New Delhi:Junaid Khan was travelling with three others in a train from New Delhi to Mathura in Uttar Pradesh after shopping for the Eid festival,when a fight erupted over seats.Between 15 to 20 men pulled out knives and attacked the brothers making anti-muslim comments and insisting one of the packets they were carrying contained beef.While Junaid was fatally stabbed to death,his brother Shakir was seriously injured. The Law Minister Ravi Sankar Prasad reacting to the incident said,”its extremely painful and shameful” and government will not tolerate such attacks. The Minister said he is very clear that if anyone indulges in violence, then the law will have to do its job. 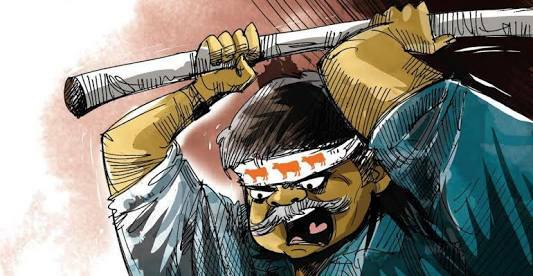 Attacks by cow vigilantes on people they have accused of carrying beef or smuggling cows has been on the rise. PM Modi had last year criticised cow vigilantes and urged a crackdown against groups using religion as a cover for committing crimes.